IRS e-file has safely and securely transmitted more than 1 billion tax returns since 1990. Over 90 percent of all individual federal tax returns are now e-filed. The IRS began its endeavor into the world of electronic filing by partnering with industry and tax preparation businesses. That partnership has continued to today and has allowed the program to expand to provide new services and to increase tax return volumes, reaching more taxpayers than ever before. The IRS e-file program for individual and business tax returns has come a long way since its debut in 1986 with the transmission of 25,000 refund-only individual income tax returns from five tax preparation businesses in three locations. These tax returns were transmitted to the Cincinnati Service Center via a modem. Each year since, the IRS e-file system was been expanded to allow more and more tax returns to be e-filed. Today nearly all individual tax returns are electronically filed. 1986: Initial filing season pilot with 5 tax preparation businesses in 3 cities; 25,000 tax returns filed. The program could only accept simple tax returns that were due a refund. 1989: Pilot expands to 36 states; 1.1 million tax returns filed. 1990: IRS e-File expands nationwide; 4.2 million tax returns filed. Balance due returns are accepted for processing for the first time. 1994: Approximately 98 percent of all individual tax returns can now be e-filed. Over 14 million individual and 1.7 million business tax returns are filed electronically from over 39,000 tax preparers - 15.7 million electronic tax returns in all. 1998: Congress passes the IRS Restructuring and Reform Act containing a provision setting a goal of an 80 percent e-file rate for "all federal tax and information returns." 2004: Modernized e-File (MeF), the next generation of IRS e-file, makes its debut, accepting business and information tax returns such as Forms 1120, 1120-S and the 990 series. 2005: E-filed tax returns cross the 50 percent threshold; 68.4 million tax returns are e-filed. 2009: Congress passes a provision requiring tax preparers who file more than 10 individual tax returns to file electronically; IRS phases in the requirement, setting the threshold at 100 or more for 2011 and 11 or more for 2012. 2011: E-filed tax returns cross the 100 million threshold in one tax filing season; cumulative total exceeds 1 billion tax returns. Approximately three out of every four individual tax returns were filed electronically. 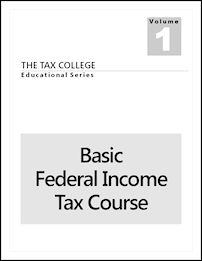 2012: Electronic filing becomes mandatory for most professionally prepared individual income tax returns. These days, starting a tax preparation business is synonymous with e-filing. 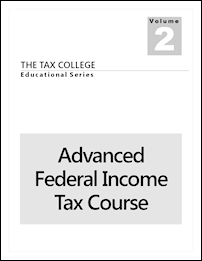 Section 6011(e)(3) of the Internal Revenue Code requires specified tax preparers to electronically file certain federal income tax returns that they prepare and file for individuals, trusts, or estates after December 31, 2010. As of January 1, 2012, any tax preparer who anticipates preparing and filing 11 or more Forms 1040, 1040A, 1040EZ and 1041 during a calendar year must use IRS e-file, unless the tax preparer or a particular tax return is administratively exempt from the IRS e-file requirement, or the tax return is mailed and filed by a tax preparer with an approved hardship waiver. Tax preparers who are members of tax preparation business must count tax returns in the aggregate. In other words, if the tax preparation business's number of tax returns is 11 or more, then all tax preparer members of the tax preparation business generally must e-file the tax returns they prepare. This is true even if an individual member expects to prepare and file fewer than 11 tax returns. You don't need a separate license to e-file but you, or your tax preparation business, must obtain an Electronic Filing Identification Number (EFIN) from the IRS. An EFIN is a number assigned by the IRS to tax preparers that are accepted into the federal/state e-file program. To become an authorized IRS e-file Provider tax preparers must submit an application and undergo a screening process. We'll help you obtain your EFIN. EFINs are issued to individuals or tax preparation businesses. Ordinarily, each member of a tax preparation business would not have an EFIN. Just the tax preparation business would have an EFIN. IRS e-file is the fastest way to file your individual and business clients' tax returns. Within 24 hours (often much sooner) after transmitting the e-file the IRS sends proof that the tax return has been accepted. To get started, you should immediately register for IRS e-Services. Once your IRS e-Services registration is accepted, you can submit your application to become an Authorized IRS e-file Provider online. Registration for e-Services can take about a month. In addition, the application process can take another 6 weeks or so. It's best not to procrastinate until late in the calendar year, because if the IRS has a backlog of applications, you could face long delays, or you may not get your EFIN in time to e-file for the upcoming filing season. So don't wait - do it now! Return to e-services to confirm your registration within 28 days of receiving your confirmation code via USPS mail. Note: The last step above holds up the process, because you have to wait for your confirmation code to arrive via postal mail. 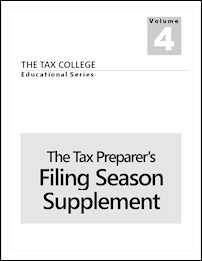 Additionally, it can take up to 6 more weeks for the IRS to approve your e-file application. So please plan accordingly and allow enough time. You can find definitions of a principal and a responsible official, and get step-by-step guidance through the IRS e-file application process in IRS Publication 3112, IRS e-file Application and Participation. 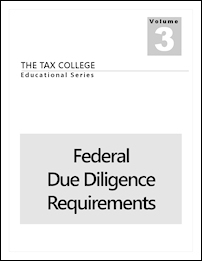 Additional IRS Publications that you should read are at the bottom of this page. You can create an IRS e-services account by clicking here. At the end of the process you'll receive a Tracking Number. Next, read Step 2 below. You can speed up the application process by calling the IRS to get your fingerprint card today. This way you won't be waiting for the confirmation code to arrive in the postal mail before calling for your fingerprint card, and you can go ahead and get fingerprinted now. Once the essential principals are approved for IRS e-services, your tax preparation business can begin the application to become an authorized IRS e-file Provider. The application is designed so that you can save your data from one session, log out, and return again when it's convenient. At this point your application is complete. The IRS will finish the e-file authorization process. Once approved, you will get an Acceptance Letter from the IRS with your EFIN. If you are going to use our tax software, once you receive your Acceptance Letter, you'll need to email or fax either that or provide your E-File Application Summary page with an EFIN status of "Active" and an Electronic Return Originator status of "Accepted". Ordinarily, obtaining an IRS EFIN also enables you to e-file state tax returns, but you should know that some states have different or additional e-file requirements. A majority of the states now mandate e-filing of individual income tax returns - and may even penalize tax preparers who send paper returns. A handful of states require tax preparer registration at the state level: California, Maryland, New York, and Oregon. So if you're a tax preparer in one of these states, see your state tax departments website for registration requirements. In 46 states and the District of Columbia, paid tax preparers are not required to have a state issued license. See our Licensing Requirements page for further details. IRS Publication 1345, the Handbook for Authorized IRS e-file Providers, contains rules and regulations for Electronic Return Originators. We strongly encourage all EROs that are new to E-filing to read both Publication 3112 and Publication 1345 to learn the IRS's rules and regulations. Failure to know the rules and regulations is no defense in an IRS action against you for their violation. Also be sure to get IRS Publication 4600 - Safeguarding Taxpayer Information Quick Reference Guide for Businesses.